Ahead of the GST rollout on July 1, the National Pharmaceutical Pricing Authority (NPPA) on Tuesday announced provisional ceiling prices of 761 medicines which includes a list of antibiotics and drugs for treating cancer, HIV, diabetes. Ahead of the GST rollout on July 1, the National Pharmaceutical Pricing Authority (NPPA) on Tuesday announced provisional ceiling prices of 761 medicines which includes a list of antibiotics and drugs for treating cancer, HIV, diabetes. "To facilitate smooth implementation of GST for companies, we have worked out the provisional ceiling prices of 761 formulations," said NPPA chairman Bhupendra Singh. 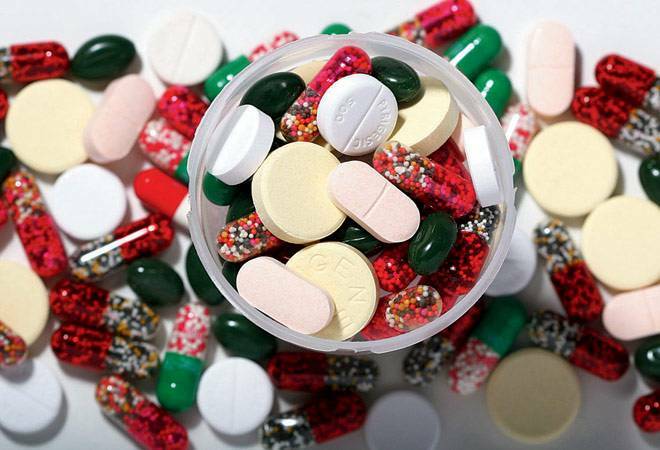 NPPA has asked pharmaceutical firms to go through the list and inform it by June 29 if any correction has to be made. However, the drug price regulator said, the prices will be notified after GST comes into effect. The actual price change after the rollout of the new indirect tax regime is expected to be in the range of 2-3 per cent, depending on the states, NPPA said. Ceiling price of various anti-cancer drugs like Bortezomib, Docetaxel and Gemcitabine have been reduced in the provisional list. The cap for Bortezomib has been fixed at Rs 11,160.08 per pack, down from Rs 11,636.60. The ceiling price for a pack of Docetaxel has been fixed at Rs 10,326.94 from Rs 10,767.88 at present. Similarly, Gemcitabine price will come down to Rs 4,813.94 per pack from Rs 5,019.49. Also, breast cancer treatment medicine Trastuzumab injection pack has been fixed at Rs 54,582.25 after July 1, down from Rs 56,912.83 earlier. Ceiling price of HIV combination drug of Tenofovir (300mg), Lamivudine (300mg) and Efavirenz (600mg) has been fixed at Rs 89.69 per tablet, down from Rs 93.52 per tablet earlier. The price of a tablet of HIV treatment drug Darunavir has been fixed at Rs 151.4, down from Rs 157.93. Cost of one tablet of Lamivudine and Zidovudine combination has been reduced to Rs 18.20 from Rs 18.98 currently. Ceiling price of Eplilespy drug Levetiracetam has also been reduced. Price of single tablet of diabetes drug Metformin has come down to Rs 3.31.